Microsoft has renamed “First Release” to “Targeted Release.” Keep in mind when reading O365 Admin Center or Roadmap messages in the future. We have changed the name of First Release, to Targeted Release. This message is associated with Office 365 Roadmap ID: 24283. Targeted Release is one of our release rings, as we roll out new features. This is a name change only. There are no other changes to our commitments to organizations configured for Targeted Release. I saw the below message in Message Center and wanted to share for others who want data at-rest encryption in Office 365. Details below. “LockBox” with E5 license was a past feature for this same goal. It’s not yet clear to me how the two are different, but it’s great to see new options for customers to encrypt their data. 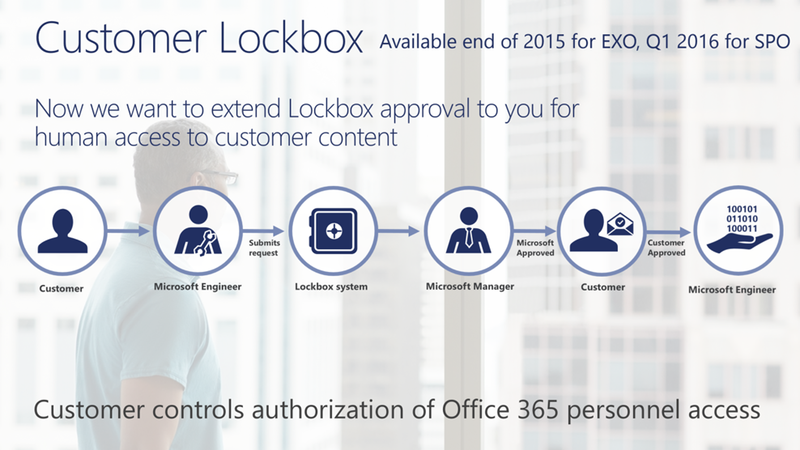 On September 25th we announced general availability of Customer Key for Office 365. Customer Key enables organizations to provide and control their own encryption keys for their Office 365 data at-rest. With Customer key, customers are in control of their keys and can exercise the ability to revoke the keys to make their data unreadable to the service and initiate the path towards data deletion. Customer Key is built on top of service encryption, so customers receive an added layer of protection on top of BitLocker, as well as a more granular level of control in Office 365. There is nothing you need to do to prepare for this change however there are steps in order for you to use this feature to get started go to our technical documentation go to https://aka.ms/customerkey. Please click Additional Information to learn more about this feature. 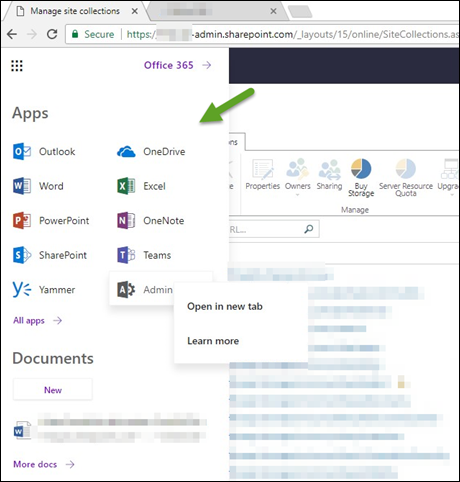 Last week Microsoft released a new App Launcher GUI for first release Office 365 tenants. The new GUI emphasizes most recently used apps and will be rolled out to all tenants by early 2018. Screenshot and details below. Cheers! We’re updating the Office 365 app launcher. We’re beginning to roll out to first release organizations today. This message is associated with Office 365 Roadmap ID: 20465. The new Office 365 app launcher is a personalized and simple way to help your users open and switch between the apps they use most. The apps your users see in the new app launcher are still based on the licenses you have assigned. However, the redesigned main view now emphasizes the most used applications across Office 365. It also highlights additional apps relevant to your users. For example, teachers and students may see education-specific apps. This rollout to First Release is in progress, and the roll out to the rest of the world is expected to complete early 2018. With the new app launcher, a user’s main view will include a default set of apps. While the new app launcher is in First Release, we will also pin any additional apps that user has opened in the last couple of days. When the app launcher rolls out beyond First Release, we will have more data to pin any additional apps that a user has opened within the last 30 days. After the first time your users see the new launcher, apps in the main view will stay the same, unless a user chooses to customize their apps or an administrator adds or removes licenses. If you have difficulty finding an app, click “All apps” and search through the alphabetized list of apps available. Please consider updating your user training, and notifying your helpdesk. Please click Additional information to view the Admin overview video and other resources. 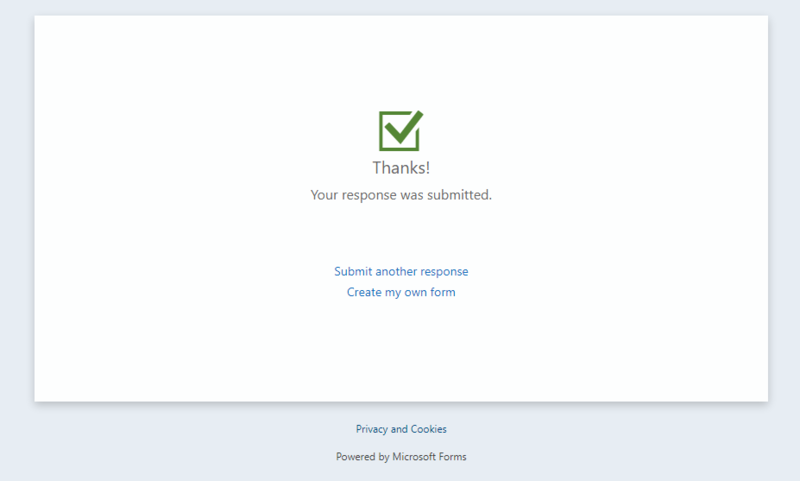 Open the link http://aka.ms/joinadminpreview to submit an opt-in request to Microsoft with Tenant URL and Contact email. 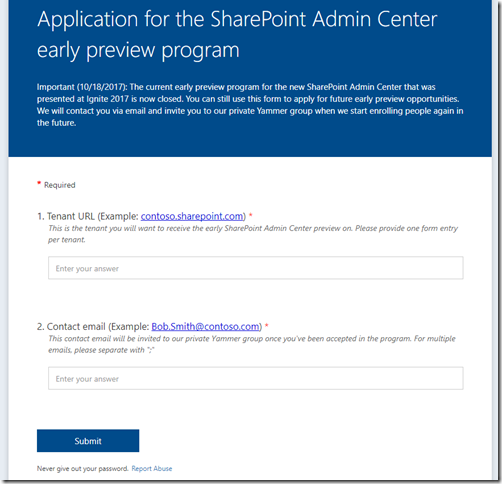 Important (10/18/2017): The current early preview program for the new SharePoint Admin Center that was presented at Ignite 2017 is now closed. 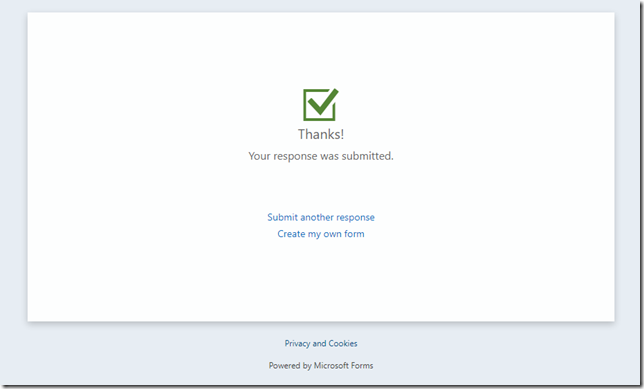 You can still use this form to apply for future early preview opportunities. We will contact you via email and invite you to our private Yammer group when we start enrolling people again in the future. 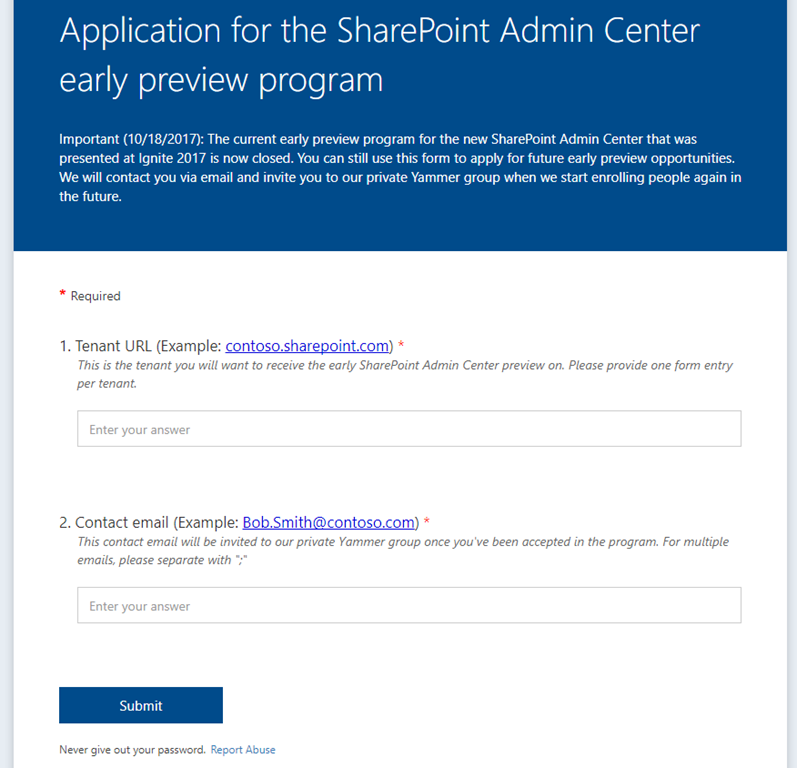 This is the tenant you will want to receive the early SharePoint Admin Center preview on. Please provide one form entry per tenant.